Bonless There are 3 products. Center of Joselito Iberian acorn fed shoulder, natural iberian ham. 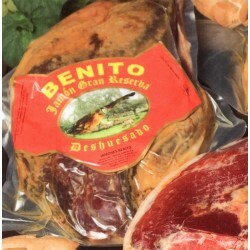 Joselito Iberian acorn fed boneless Ham between 4-4,5 kgs weight.